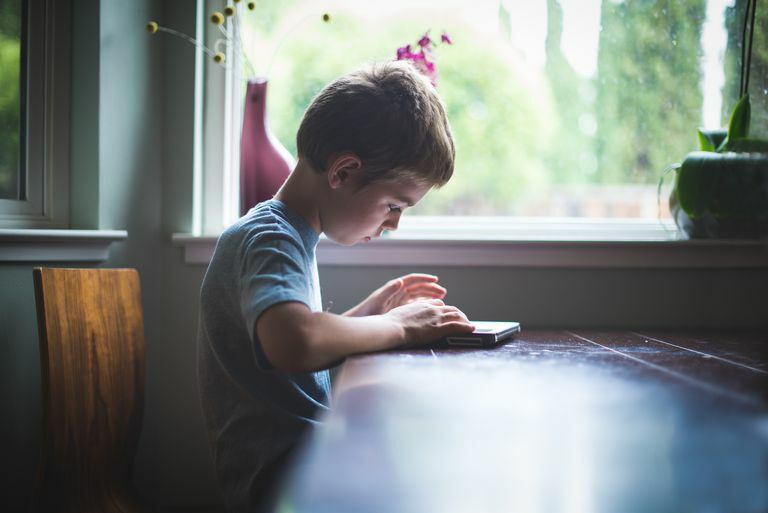 Kids are spending an average of more than 7 1/2 hours a day using electronic media, which includes TV, the Internet, video games, and mobile devices, according to a 2010 report by the Henry J. Kaiser Family Foundation. To put it another way, that means that kids are plugged into some kind of electronic device for more than 53 hours a week, which is more time than most grown-ups spend at work, say study researchers. Yikes. And when multitasking such as watching TV while surfing the Internet is taken into account, the number jumps to 10 hours and 45 minutes. Double yikes. The survey of 8 to 18-year-olds also found that kids who are heavy media users tend to have lower grades than kids who are light users. And fewer than half of the kids (46 percent) reported that they have rules about what TV shows they can watch. Only 30 percent of kids had parents who set rules about which video games they can play and only 26 percent had rules about what music they could listen to. This is particularly a shame because when parents set any kind of media rules, kids were found to spend a lot less time on them. Kids whose parents set media rules spent almost three hours less on electronic devices than kids in homes with no media rules. All this electronic use is bound to increase as grade-schoolers get older and start to hit their tween years. What can parents of young children do now to make sure we don't raise a generation of kids who are plugged into devices and tuned out to people? For starters, we can watch our own use of media. I know I've had to remind myself more than a few times to walk away from the computer or cell phone and talk to my child face to face, especially when it's "family time"—the hours just before and after dinnertime when we are wrapping up homework and getting ready for dinner or for bed. What steps have you taken in your home to limit electronic media? How does your kids' media use compare to the Kaiser survey numbers?